A few things that we love: neon anything, bold baubles, and DIY projects. Therefore, it was with much pleasure that we stumbled upon a post that includes every piece of that aforementioned trifecta, over at S.F./L.A. blog Honestly...WTF. 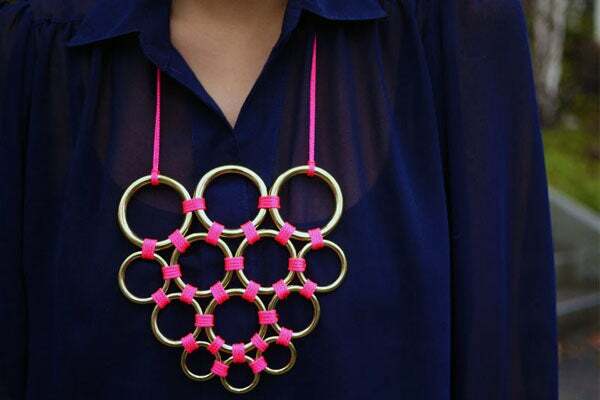 Dreamt up by New York jewelry designer Gretchen Jones, the seemingly simple DIY consists of taking differently sized brass rings and looping them together with neon nylon mason cord for this crazy graphic effect.